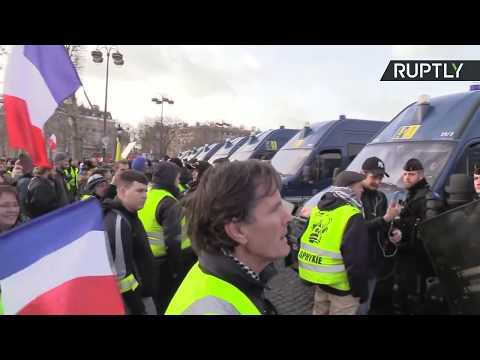 Yellow Vest protest in Paris: Act XIII | We Seek the Truth! #YellowVest protesters call for a new demonstration in Paris on Saturday, February 9, the 13th in a row since the movement has emerged in November 2018, after French President Emmanuel Macron announced hikes in fuel taxes to reportedly encourage a transition towards greener energy. Despite the French government suspending the tax hikes and announcing increases to the minimum wage, protests have continued.